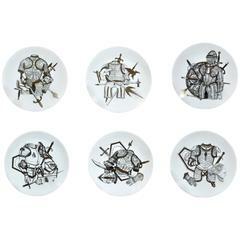 Piero Fornasetti Set of six Plates in Armature Pattern with Coats of Arms. 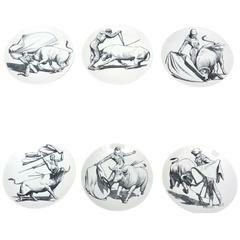 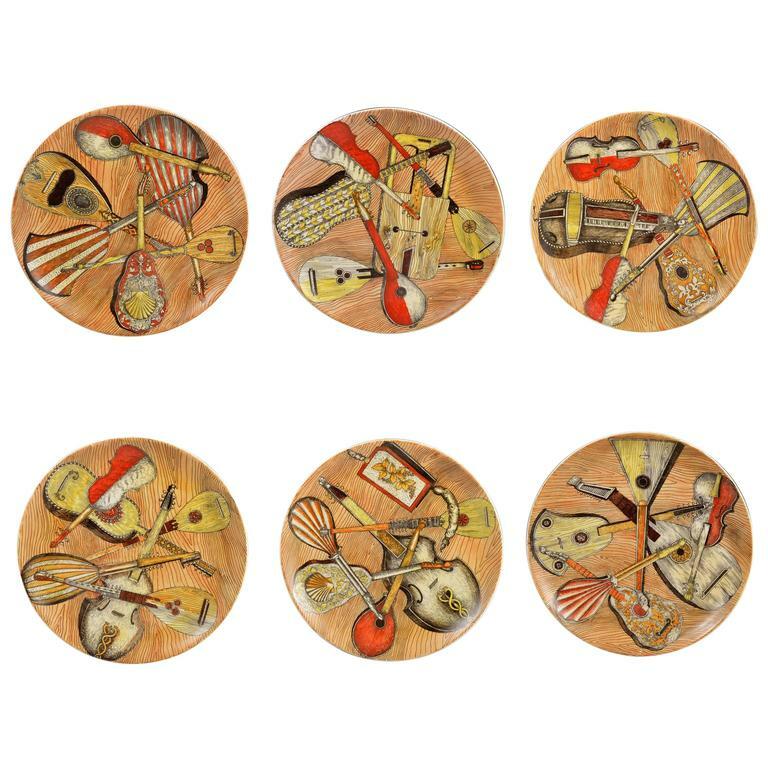 Piero Fornasetti Strumenti Musicali Plates, set of six 1950s-1960s. 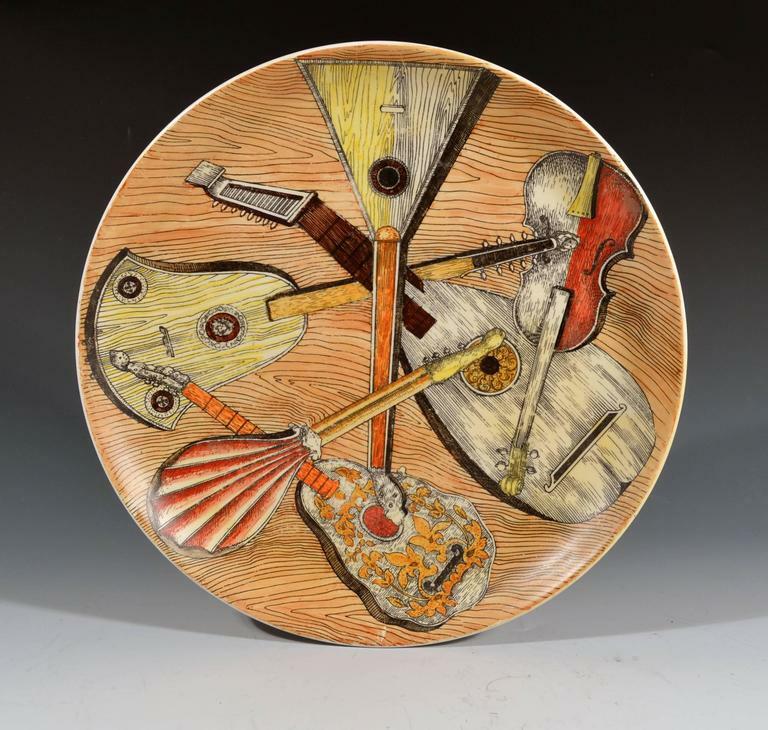 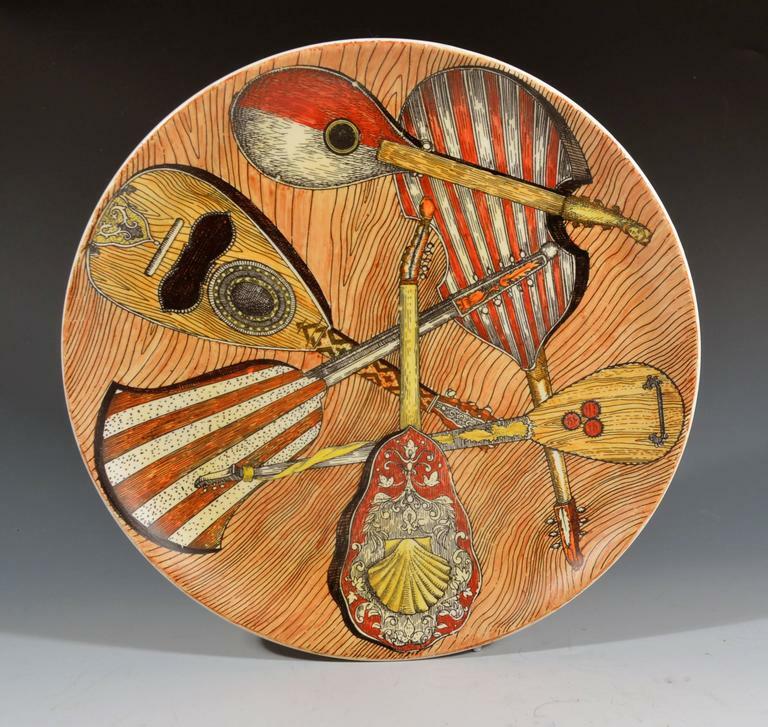 The plates each depict a different selection of stringed instruments including guitars and lutes on a faux bois ground. 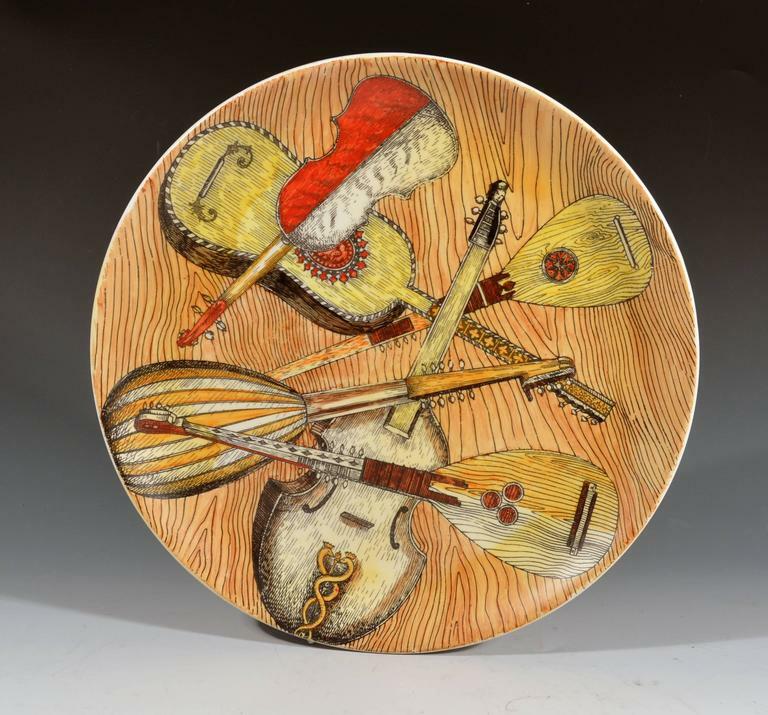 Strumenti musicali translates as musical instruments. 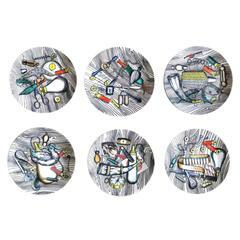 Reference: Fornasetti: The Complete Universe, edited by Barnaba Fornasetti, page 615,# 164 for a color illustration. 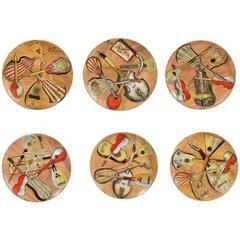 This series was made in Italian, French and English. 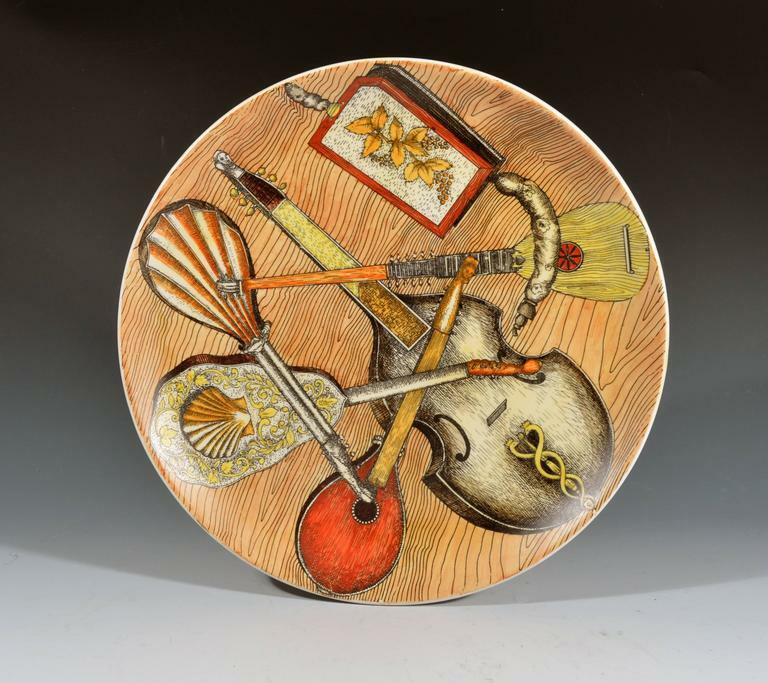 Fornasetti: Designer of Dreams, Patrick Mauries, Page 171, color illustration of a plate. 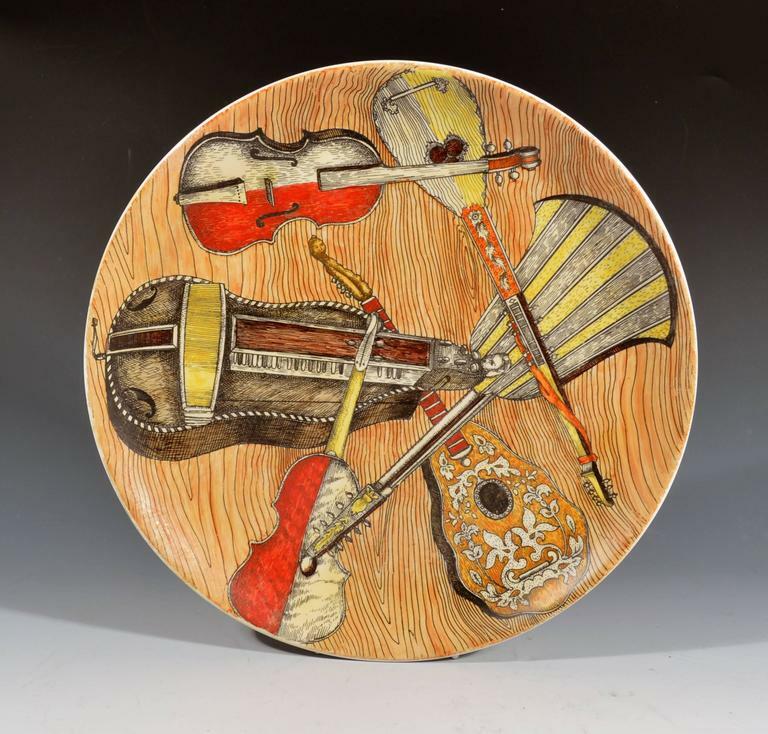 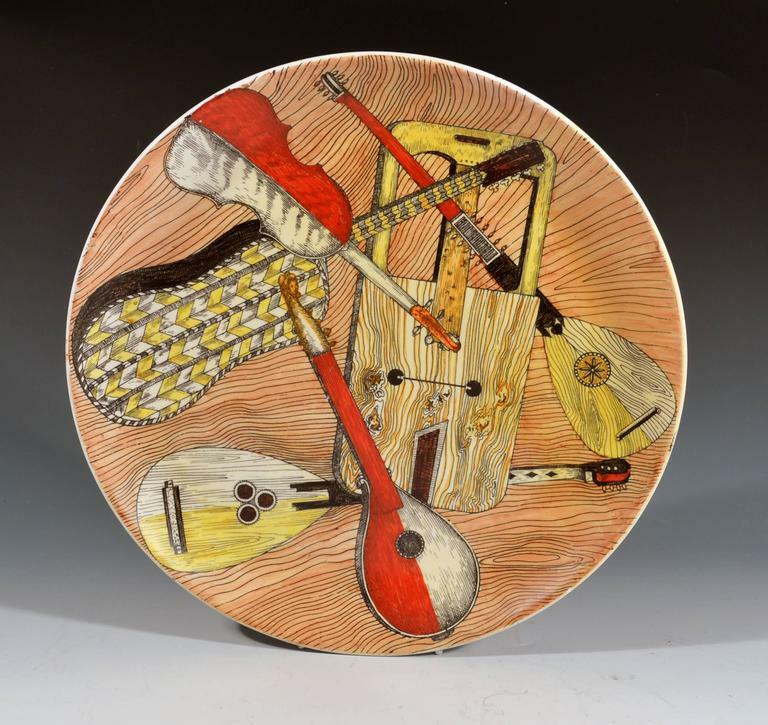 A ceramic dish by Piero Fornasetti 'Strumenti Musicali' in excellent condition. 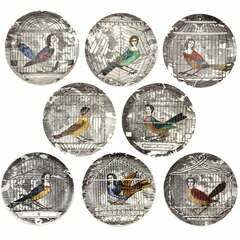 A graphic and surrealist set of eight small dishes (coasters) depicting a variety of caged birds with women's heads from the Le Arpie Gentili series. 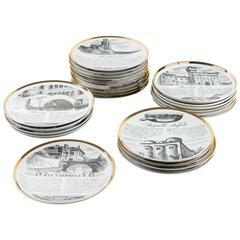 Piero Fornasetti white and golden calendar plate depicting sun and street.